This is the first scholarly work that looks comprehensively at the reparations discussion in the Caribbean. 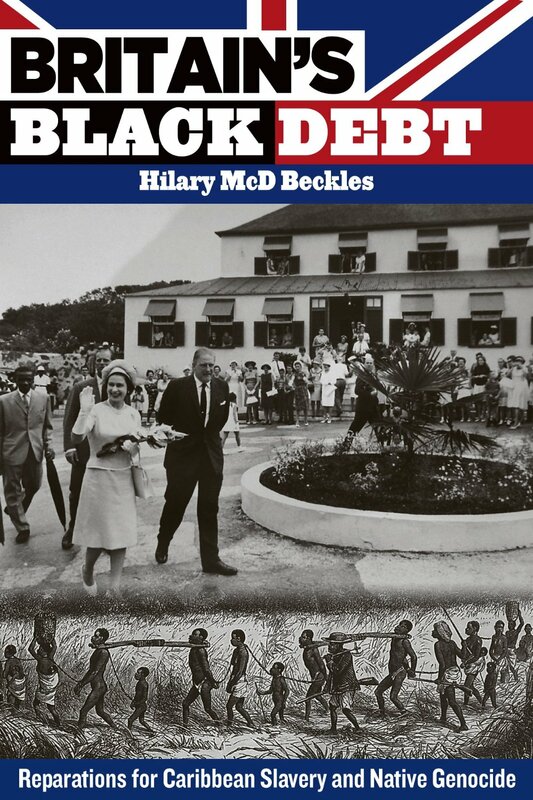 Written by a leading economic historian of the region, a seasoned activist in the wider movement for social justice and advocacy of historical truth, Britain’s Black Debt looks at the origins and development of reparations as a regional and international process. Weaving detailed historical data on Caribbean slavery and the transatlantic slave trade together with legal principles and the politics of postcolonialism, Beckles sets out a solid academic analysis of the evidence. He concludes that Britain has a case of reparations to answer which the Caribbean should litigate. Beckles identifies reparations focused activity in the Caribbean as a “small part” of the global reparations phenomenon and seeks to continue the discourse arising from the 2001 UN World Conference Against Racism, Racial Discrimination and Related Xenophobia which took place in Durban, South Africa where it was declared that slavery is a crime against humanity and should have always have been so. Beckles stated political intentions for the book project are to advance the global Social movement for African Reparations by promoting leadership action in the Caribbean by Caribbean governments asserting that the Caribbean has a “vanguard duty” to the twenty first century global Social Movement for African Reparations and concludes that Britain has a reparations case to answer which the Caribbean should litigate. Whilst this text includes useful data on the on the historical foundation of a case for reparations by weaving detailed historical data on Caribbean slavery and the Transatlantic Slave Trade together with legal principles and provides a compelling argument for Britain to pay compensation to the descendants of the enslaved in the Caribbean for slavery and Native genocide, it only provides historiographical data relating to reparations advocacy and activism focusing on the Caribbean since 2001. In a chapter on British policy towards reparations, to some of the protest actions of reparations activists arising in the UK arising during the 2007 abolition of the Slave Trade bicentennial year in 2007. Beckles references UK based organisations and networks such as the Pan-Afrikan Reparations Coalition in Europe, the Rendezvous of Victory, the Nation of Islam and the protest by the founder of human rights pressure group Ligali, Toyin Agbetu at a commemorative service to honour the victims of the Transatlantic Slave Trade at Westminister Abbey on 27th March 2007. The predominant focus however of the chapter is on British state responses parliamentary debates related to calls for apology and redress and the role of Black labour MP’s and mainstream political leaders such as Baroness Valerie Amos, David Lammy, Diane Abbott, Oona King and Dawn Butler in towing the British government line by failing to acknowledge the cause of reparations. The Rendezvous of Victory was a UK based abolitionist heritage learning movement which operated between 2002 and 2007 and promoted cross community dialogues on the issues of African enslavement and its legacies.